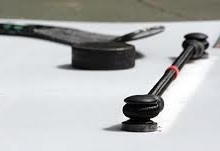 If you visit any hockey store they will probably have a rack with hockey training aids that were developed to help you with your shooting, speed, or stickhandling. The stickhandling balls are one of the items that you can find in almost any hockey store. The balls started in Sweden when pro players noticed the Swedish hockey players using wooden balls to practice stickhandling. 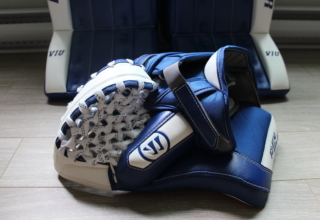 Since then, the product has become very popular among many hockey players around the world. The wooden stickhandling balls have even evolved into the Smart Hockey stickhandling balls, but we will save that for another review. 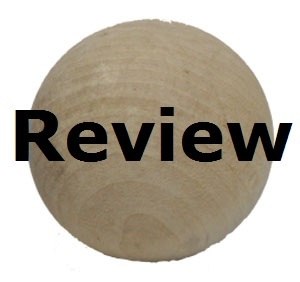 In this review, we test out a wooden stickhandling ball, also known as a Swedish stickhandling ball. In the review, we compared it to a regular hockey puck and talk about the advantages and disadvantages of a wood stickhandling ball. 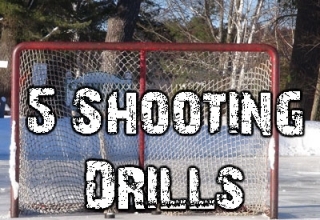 One of the biggest problems with practicing your hockey skills off of the ice is learning the proper movements, and then using them on the ice. This is why it is important to create an environment off the ice that is very similar to what you experience on the ice. We look at some of the variables that come into play when you stickhandle with a puck, and how they compare with a wooden stickhandling ball. 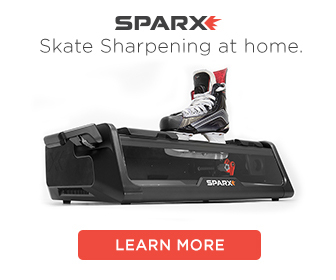 The contact point is similar to the contact point of a puck, this means that the blade will contact the ball at almost the same height as it will contact a puck. Having a similar contact point will help train your muscles and build your muscle memory. The wood stickhandling balls have a similar feel to how a puck feels on the ice. The biggest difference is the weight. 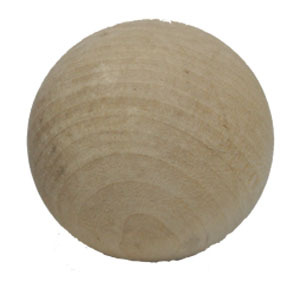 The wooden balls are very light, they weighed in at 1.6 ounces ounces, which is about 4 ounces lighter than a puck. If you want a ball with a similar weight to a puck than you would need a Smart Hockey stickhandling ball, but I like the lighter weight because it allows hockey players to practice quick movements, and repetition. We suggest buying a Smart Hockey ball and a wooden ball if you want to practice a variety of moves. The slide is hard to measure because the balls do not actually slide, they roll. The idea is that the balls are supposed to move and react at the rate of speed as a hockey puck would. If you use golf balls to stickhandle you will notice that they bounce all over the place, and are hard to control. The wooden stickhandling balls are very nice to use because the wood really cushions each impact, making them easy to control. 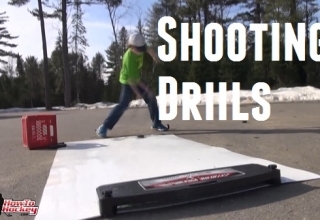 For an even better slide you can pick up a hockey shooting board. These work great with pucks as well and will protect the bottom of your blade. The one big advantage of the wood stickhandling ball is the price. These balls usually sell for around $3. This is nice because they work great, and do not cost that much. I like to buy about five at a time. This way, I will have back up in case I lose or misplace one. There was only one downfall that I could find with the wood stickhandling ball, and that is with durability. The wood is not very durable, and if it gets wet the balls will warp. I have a few warped balls, and suprisingly they work almost as good as a perfectly round ball, they just look a bit funny! In this video we show you how a wooden stickhandling ball works, we do a bit of stickhandling, talk about durability and compare it to a regular puck. 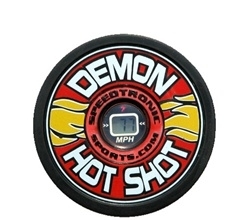 To pick up a stickhandling ball visit Hockey Shot today. Can you shoot with the sweedish stick handling ball, i might of missed it when I was reading your post about it but I didn’t read anything about you being able to shoot it. You can shoot with them as long as you hit the net. If you hit the post lightly then I don’t think there will be a problem, but I think with extended shooting the could break. I got another question for you Jeremy, I just put my question on this review for no reason. 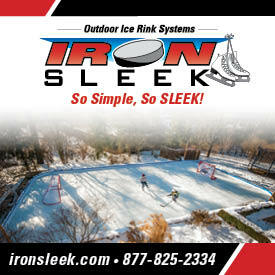 What is your favorite product that increases your skill the most for everything: passing, shooting, and stick handling. Definitely. 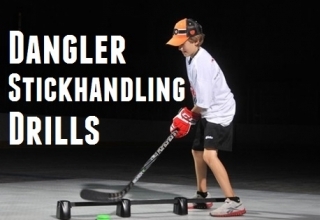 That package will set you up with a bunch of different stickhandling tools. I use the Green Biscuit, Smart Hockey ball, and the wooden ball all the time. 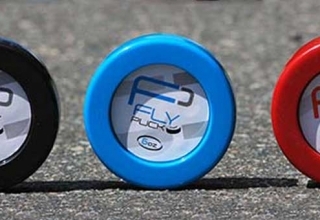 The Flypucks are cool because they are different weights so it gives you a lot to train with. Just try to find a nice smooth surface so it is more like being on the ice. can you tell me from what sort of wood is made? So which would you prefer? 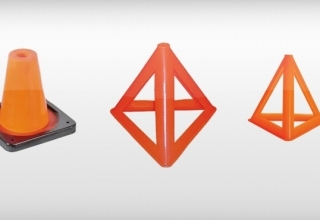 The wooden ball, or the hockeyshot extreme stickhandling ball? I know you’ve done a review on both, but which is better overall if the price didn’t matter?